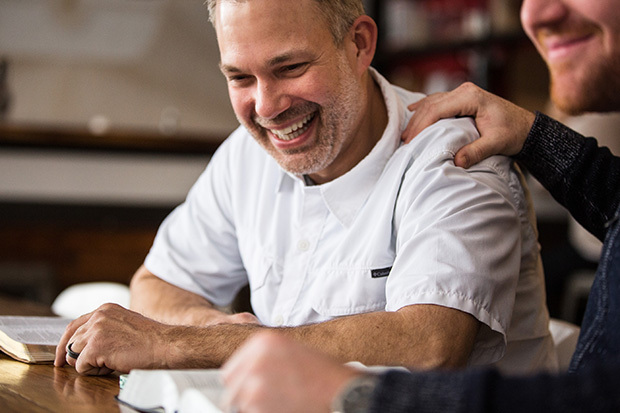 While those in mission or pastoral work are more likely to encounter someone who is ready to receive Christ without having previous contact with them, there are many more situations where believers’ influence in another’s life draws them to saving faith, as they ‘do life’ together. Billy Graham said, “Back when we did these big crusades in football stadiums and arenas, the Holy Spirit was really moving…But today, I sense something different is happening. I see evidence that the Holy Spirit is working in a new way. He’s moving through people where they work and through one-on-one relationships to accomplish great things. They are demonstrating God’s love to those around them, not just with words, but in deed.’ – Billy Graham, Ways of the Alongsider. Engaging in the spiritual process of helping unbelievers respond to the Holy Spirit often involves a series of mini decisions that lead them to a place of saving faith in Christ. 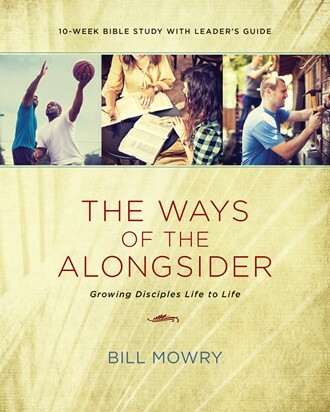 Author Bill Mowry unpacks what this might look like in the newest release of Ways of the Alongsider. Relationship: I’m building relational bridges of trust and respect for the good news. – based on Matthew 11. I can pray for my friend. I can serve him or her in a practical way. I need to introduce myself to him or her. We can do something socially: eat lunch together, take a walk, spend time in my home, attend a sporting event together. Interest: My seeking friends are moving from hostility or apathy to curiosity about the Christian faith. – based on Acts 17. I can identify myself as a Christian. I can ask to pray for him or her in a time of crisis or need. I can introduce my friend to another Christian friend. I can share a faith story, such as answered prayer. Insight: My friends outside of Christ are making personal discoveries about God, Jesus, the Bible, faith, and so forth. – based on John 4. I can share my personal faith story. I can invite him or her to a Bible-reading group. I can invite him or her to a Christmas concert. I can pass on a meaningful book related to an issue of concern or a question we’ve discussed. Conviction: My seeking friends are taking steps to act in faith on their discoveries about God, Jesus, and faith. – based on Acts 8. We can discuss his or her objections to faith in Christ over lunch or coffee. We can discuss a gospel illustration together. We can attend a relevant worship service together. We can talk about what we’re learning from a book we’re reading together.